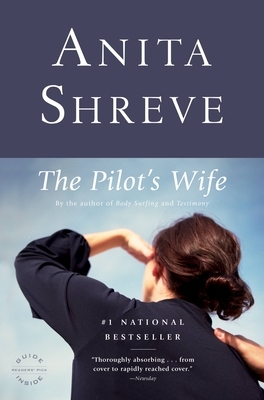 As a pilot's wife, Kathryn has learned to expect both intense exhilaration and long periods alone, but nothing has prepared her for a late-night knock that lets her know her husband has died in a crash. Until now, Kathryn Lyons's life has been peaceful if unextraordinary: a satisfying job teaching high school in the New England mill town of her childhood; a picture-perfect home by the ocean; a precocious, independent-minded fifteen-year-old daughter; and a happy marriage whose occasional dull passages she attributes to the unavoidable deadening of time. As Kathryn struggles with her grief, she descends into a maelstrom of publicity stirred up by the modern hunger for the details of tragedy. Even before the plane is located in waters off the Irish coast, the relentless scrutiny of her husband's life begins to bring a bizarre personal mystery into focus. Could there be any truth to the increasingly disturbing rumors that he had a secret life?